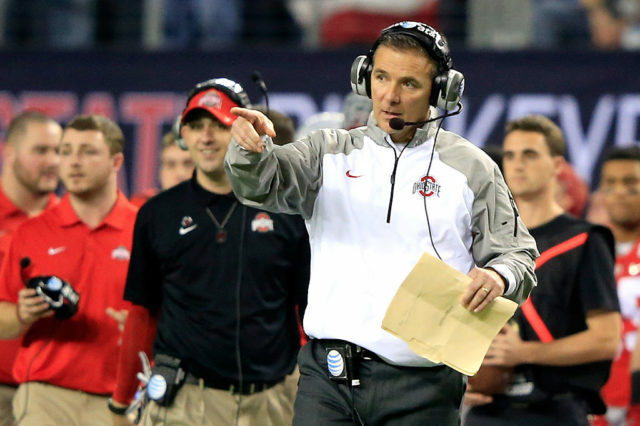 This Is The Punishment Ohio State Coach Urban Meyer Will Reportedly Get. Is It Fair? Ohio State football coach Urban Meyer reportedly faces a suspension for his role in the handling of domestic violence allegations against fired assistant Zach Smith. Ohio State University announced Monday that leadership will meet Wednesday to decide the fate of head football coach Urban Meyer. Meyer was placed on paid leave while the school investigates what he knew about allegations of domestic violence involving a former assistant coach. Two sources connected to the investigation said the likely recommendation to university President Michael V. Drake is a suspension for Meyer. Drake and the board could also opt for a “time served” punishment since Meyer has been removed from football activities for more than two weeks. Again, it appeared to me that the writing was on the wall for a very long time that Meyer wasn’t going to get shown the exit door. They would have done it almost immediately if that was the call. Major college football programs don’t waste time when it comes to making decisions. Stay tuned for Wednesday when we can all find out just what is about to happen with the Buckeyes and Urban Meyer.